Our maintenance week continues, and today we’ve built a brand new tall, “corner unit” for the living room. As well as accommodating some nice, warm lighting, the CD and I-phone docking station is located in the unit, as well as further power and USB charging points. Speakers at the top, permit your devices to connect to them via bluetooth, or just be traditional and slap a CD into the player! 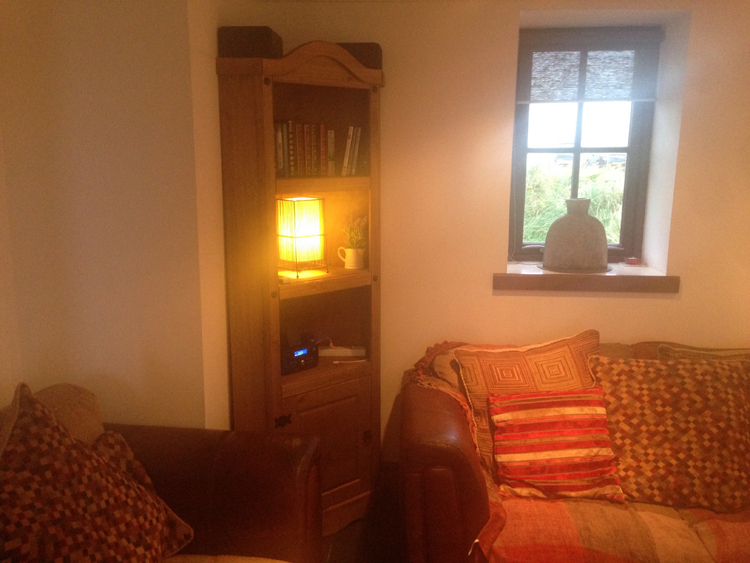 Of course the additional shelves and cupboard space, now tidy up the surplus volume of great books and DVDs in the cottage, keeping everything hidden and tidy. The nest of tables previously in that space is now elsewhere in the living room. For our cleaners, the added advantage of fixed furniture not having to be moved back!